When a popular uprising started in Tunisia less than two years ago, it took the world by surprise. Not many observers had anticipated the outbreak, let alone the success, of popular uprisings in a region far better known for the longevity of its tyrants and despots. Contrary to what some analysts have stated, the region loosely known as “the Arab world” had in fact seen important, albeit failed, uprisings: the Muslim Brotherhood’s revolt against Hafez Al-Assad’s regime in Hama, Syria, was brutally put down in 1982. The mass uprisings in both the northern and southern parts of Iraq in the aftermath of the Gulf War of 1991 were crushed just as mercilessly by the Saddam Hussein regime. This time, however, it was different. The Tunisians succeeded with breathtaking speed in overthrowing Zine El-Abidine Ben Ali’s dictatorial and corrupt regime. But what turned those events into something really unique in the modern Arab world was the domino effect which followed. Shortly after the Tunisians won their battle with their government, there ensued a confrontation between the Egyptians and their own government. Before long, Egypt’s president, Hosni Mubarak, was forced to step down. The ripple effect of those cataclysmic developments was subsequently felt in other Arab countries, such as Yemen, Bahrain, Libya, and, later, Syria. Despite the apparent similarities noted in the Arab rebellions taking place in the Middle East, there were nevertheless some notable differences in the way the uprisings happened in the aforementioned Arab countries: the merely authoritarian dictatorships–Tunisia and Egypt- collapsed much more easily than did the far more ruthless tyrannies in Libya and Syria. One reason may be that Ben Ali’s regime in Tunisia was caught napping by the sudden nature of the revolt in that country. And while Hosni Mubarak’s regime had some forewarning of the possibility of similar developments taking place in Egypt, this was not early enough for members of the Egyptian political elite to successfully contain and defuse the situation. By contrast, the Qaddafi regime had ample time to prepare for such an eventuality, and the regime of Bashar Al-Assad had even more time than Qaddafi’s to brace itself for a similar insurgency occurring in Syria. Coupled with the horrifically brutal nature of both of these regimes, the spread of the “Arab Spring”, as it came to be known, lost momentum. Despite some initial successes achieved by anti-Qaddafi rebels in Libya, the tide was turned fairly quickly as Qaddafi’s forces rallied to roll back the rebels’ advance speedily and efficiently. Before long, Qaddafi’s fighters had overcome the rebels in Zawiya, laid siege to Misrata, and beaten the eastern region’s rebels from near Sirte, his own birthplace, all the way back to my own city, Benghazi. Terrified and thrown into panic by the merciless, ruthless nature of Qaddafi’s threats and his declared intention of vindictively seeking out his enemies “street-by-street, alley-by-alley, house-by-house”, France, along with the United Kingdom and, after some hesitancy, the United States took seriously the Arab League’s pleadings for aerial intervention in Libya in order to protect civilians from what looked like a potentially hair-raising massacre not very different from what had happened in Srebrenica in the ex-Yugoslavia back in the 1995. France, the United Kingdom, and the United States also succeeded in persuading reluctant members of the United Nation’s Security Council, most notably Russia and China, of the need to impose a no-fly zone over Libya. The French, the British, and the Americans also took advantage of the wording of UN Resolution 1973, especially one of the points authorizing all necessary means to protect civilians and civilian-populated areas, to justify the active, preemptive aerial attacks against the Qaddafi regime. The famous French air attack on Qaddafi’s lethal forces on the outskirts of Benghazi in March 2011 achieved the goal of preventing a large scale massacre of civilians in that city. Consequently, Qaddafi’s forces quickly retreated all the way back to Sirte. Buoyed up by such speedy withdrawal, the eastern rebels advanced just as speedily all the way to an area not very far from Sirte, while exuding their newly-found confidence that the Qaddafi regime would crumble in few weeks or less. That vanishing act, of course, did not materialize, and the Libyan conflict entered thereafter a phase of prolonged stalemate which lasted for many months before the Qaddafi regime collapsed in the city of Tripoli and Qaddafi himself was captured and killed near his hometown of Sirte in October 2011. Once the Syrian people saw what was happening in other Arab countries, and how France, the United Kingdom, and the United States were striving for intervention in the Libyan conflict, they plucked up enough courage to launch mass protests against Bashar Al-Assad’s regime. This movement began when protesters called for the “Friday of Dignity” and Syrians initiated their first serious challenge against their own government. Unlike the Libyans before them, the Syrian protesters did not want outside intervention and were intent on fighting the Assad regime alone. When it gradually dawned on the Syrian rebels that overthrowing Bashar Al-Assad’s regime was not as feasible as they had imagined, they little by little started to have second thoughts concerning the idea of requesting external armed involvement. Nonetheless, the situation in Syria was significantly different from the Libyan situation: First, both Russia and China objected to outside intervention à la Libyan case. Second, important regional players such as Iran, along with organizations like Hizbollah in Lebanon, backed up the Syrian regime and reportedly propped it up with arms, financial, personnel, and diplomatic support. Third, despite the longtime enmity between Israel and Syria, the Israelis, and quite a few of their American supporters, balked at the idea of Syria being run by an actively anti-Israeli, perhaps theocratic, government should the Assad regime disintegrate. After all, both Bashar Al-Assad and his father before him often barked at Israel, but they never did much biting. The anxiety concerning a possible Islamist takeover in Syria was compounded by the early results of regime change in the Arab Spring: Major Islamist successes in Tunisia and Egypt, and significant Islamist influence in Libya’s post-Qaddafi politics, scared outside powers which feared that, yet again, the “Arab Spring” in Syria could very well lead to an “Islamist winter”. The differences between Libya’s situation and that of Syria did not emerge only in terms of geopolitical dynamics, but also extended to include internal differences: To an extent far greater than the national makeup of Libya, Syria’s is a mosaic of various religions, sects, and ethnic groups: Arabs, Assyrians, Kurds, Armenians, Turkmen, Circassians, Muslims, Christians, Sunnis, Shiites, Druze, and so forth. These groups had been held together by Hafez Al-Assad and later his son Bashar. If the son’s regime were to collapse, it is not inconceivable that this might bring about the fragmentation of the country, resulting in extensive massacres. The relations between Muslims and Christians in Syria are already very tense, as are many of those between Syria’s other ethnic and sectarian groups. But the Syrian regime’s most-intensely feared scenario is the fate of the Alawite minority, to which Bashar Al-Assad belongs. The end of their tight grip on power could very easily become a prelude to their mass murder at the hands of other groups, especially the Sunnis who have long resented being governed and oppressed by the Alawites. This is one of the most important reasons why the Bashar Al-Assad regime is fighting tooth and nail to hold on to power: what is at stake is not merely the regime’s survival, but above all that of the whole Alawite sect. Having previously worked for several years as a university professor of political science, I am fully aware that forecasting in the area of international politics is a very difficult undertaking; there are far too many unknown quantities and variables involved for this to be easily doable. All the same, it does look at the moment as if the Syrian situation will continue to be a war of attrition, with neither side being able to gain the upper hand in a decisive and conclusive manner. One is then left wondering whether this might lead to yet another “Lebanon”. About the author: Husam Dughman’s family was both educated and liberal. They heroically stood up to the Qaddafi regime and endured the dire consequences. This gave him a first-hand experience of what dictatorship, bigotry, and intolerance are about, and what kind of price has to be paid in order to stand up to them. Coupled with his experience of religious intolerance, Mr. Dughman resolved to fight against zealotry, hate, and extremism, come hell or high water. 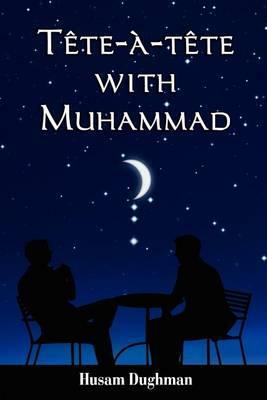 Thus, the idea for Tête-à-tête with Muhammad began to germinate in his mind. Husam Dughman was born in Libya and educated in Libya and the U.K. He earned his B.A. and M.A. in Political Science from the University of Kent at Canterbury, where he won several awards for academic excellence and graduated with a First Class with Honours. In 1993, Mr. Dughman returned to Libya and was successful in securing a position as a university professor of Political Science. Due to political reasons, he left his university position in 1997 and subsequently worked in legal translation. He immigrated to Canada in 2002, where he has been helping new immigrants with their settlement.